Postgraduate Diploma at Information Technology at Swinburne University of Technology Melbourne , Australia 2002. Gregor coached a team of ~40 runners as a State and National Junior Team Coach. Polish Team Coach at U20 World Championships Sydney 1996. 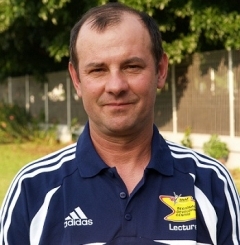 Gregor is currently a Level 5 ATFC and Level IV IAAF Coach, and a proud coach at Athletics Essendon Club. Athletes in his team represent Australia in World Cross Country Championships, World Junior Championships, World University Cross Country, University Games Belgrade, World School Cross Country Championships, Youth Commonwealth Championships and the Australian Youth Festival. He was first coach of Liam Adams and Linden Hall who did represent Australia at Rio Olympic Games , and Glasgow and Gold Coast Commonwealth Games. His team has won over 50 medals at National Championships in Open, U23, U20, U18, U16, U14 age category.